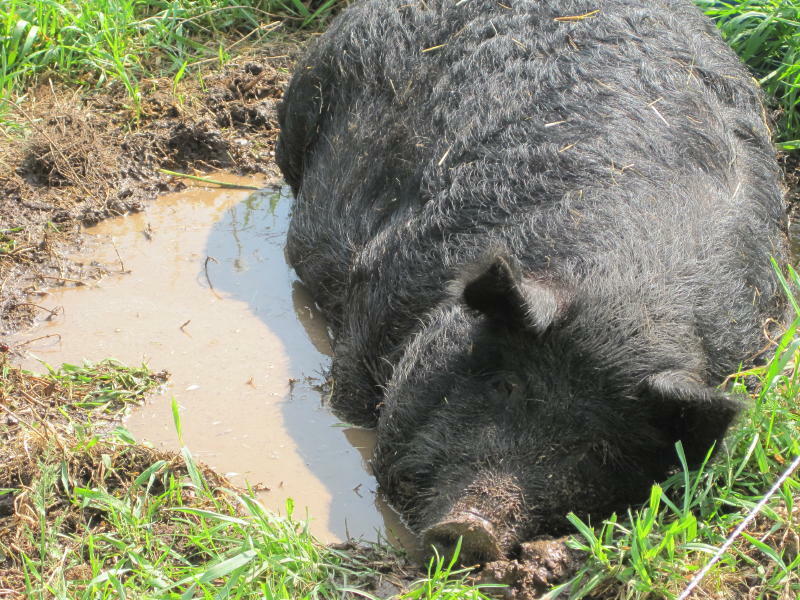 A nice wallow is just the thing on these hot days. The sows come right over when they hear me adding fresh water for them and even seem to enjoy a cold shower straight from the hose. I never would have guessed I would someday serve as a spa attendant for pigs, but her smile sure makes it worthwhile.